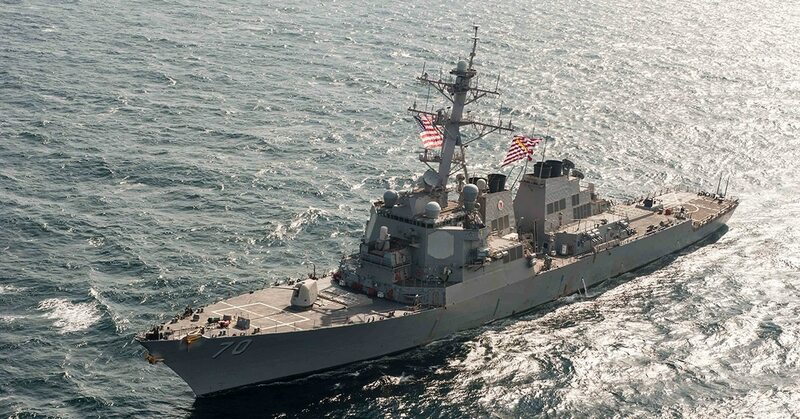 WASHINGTON — Congress is preparing to vote on a major spending bill that would fund 14 new ships, give the Navy more than $3 billion more than it asked for in its budget request. A draft of the omnibus spending bill released Wednesday night showed the Navy in line to get $23.8 billion for its shipbuilding account, $2.6 billion more than in 2017. The budget buys, among other things, an aircraft carrier, two Virginia-class submarines, three littoral combat ships, two destroyers, a new LX(R) amphibious ship, a salvage ship, and an oceanographic survey ship. The bill also funds about $862 million in advanced procurement for the Columbia-class ballistic missile submarine program. Aviation also got a boost. The budget is buying 10 more F/A-18 Super Hornets than the Navy asked for, meaning they’ll get 24 of the jets out of this budget, if its enacted as written. It will also get six MQ-8C Firescouts after not requesting any in 18. Congress is also giving the Navy an extra three P-8A Poseidon sub hunters over the seven requested. The bill needs to race through both the House and Senate over the next two days to avert a government shutdown Friday.